Mikhael Subotzky (b.1981, South Africa) and Patrick Waterhouse (b.1981, UK) have been awarded the Deutsche Börse Photography Prize 2015. 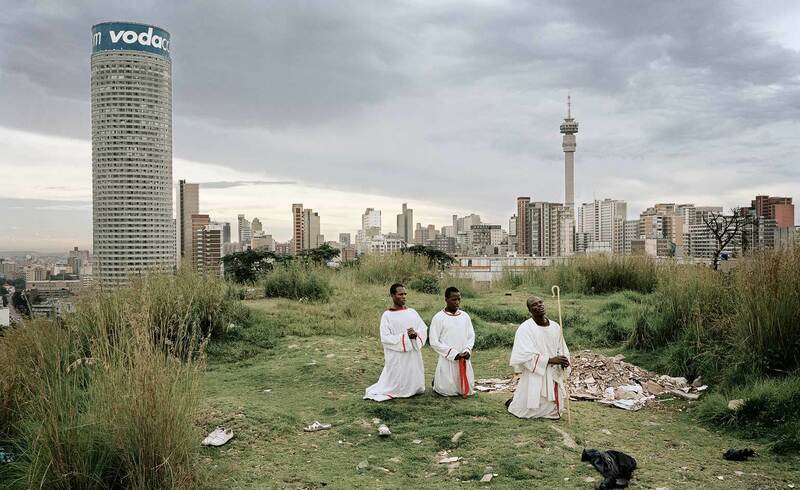 The artists won for their ambitious publication Ponte City (Steidl, 2014), which charts the social and political history of a 54-floor apartment block in Johannesburg. It was built under apartheid rule in 1976 and was originally conceived as a centre of aspirational living for a white elite. The £30,000 award was presented by artist and previous Prize winner Oliver Chanarin on behalf of the artist duo Adam Broomberg & Oliver Chanarin. The other shortlisted artists for the Deutsche Börse Photography Prize 2015, were each awarded £3,000. This year's judges are Chris Boot, Executive Director, Aperture Foundation; Rineke Dijkstra, Artist; Peter Gorschlüter, Deputy Director, MMK Museum für Moderne Kunst and Anne Marie Beckmann, Curator, Art Collection Deutsche Börse.